Each of our dogs costs over $25,000 to rescue, house, medically care for, feed and train. We rely solely on the support of the community and receive no help from the government. 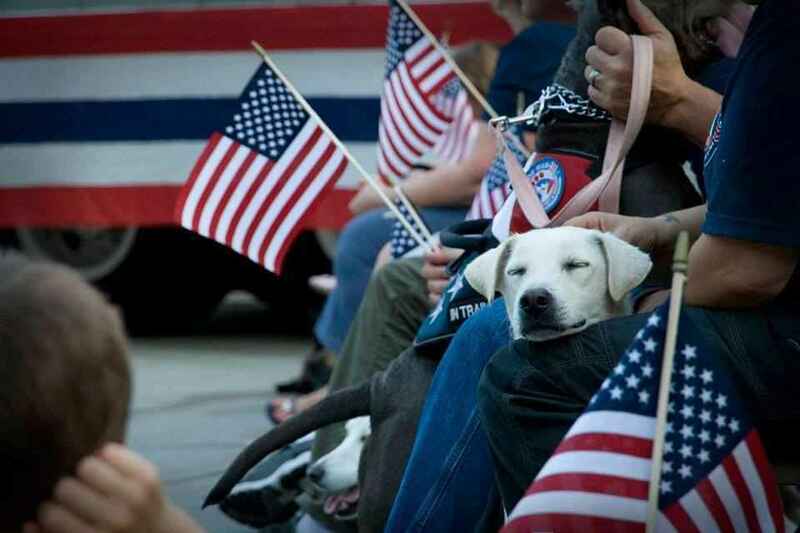 Your donation today will make a major difference in the lives of our veterans and their dogs. "I never thought I'd be in a situation in my life where I would need a service dog. But war changed me; loosing my team changed me; transitioning home was simply a second by second struggle. When I started looking into a service dog, I felt I could never afford one. Paws of War stood out from the rest and is truly one of a kind. I am really a part of their family. Now that I have Reggie I can say that among other things, he gives me a purpose in life again, a reason to get out of bed and experience life."